STARS RISING IN THE EAST! No, not that star – these stars (plural) are the wine making countries of Eastern Europe: Bulgaria, Romania and Moldova. I’m disappointed to have had to turn down my invitation to judge once again at the International Wine Competition Bucharest, Romania, next month, because of a clash in my diary. When there last year we worked hard judging in the morning, but the afternoons and evenings were taken up by tasting Eastern European wines and touring Romanian wineries. For me it was the first time I had tasted Eastern European wines, apart from some rather dubious efforts in the 70s at the newly opened wine bar in Chester! Tasting such an array of wines, talking to their makers and to aficionados was the seed from which grew my great interest in wines from the East, which in fact have an ancient history, but only started recovering from the collective farming constrictions of the Communist era during the last 25 years or so. I was delighted therefore to receive recently, a new book, ‘The Wines of Bulgaria, Romania and Moldova’, by Master of Wine, Caroline Gilby! To say that this exceedingly well researched book is comprehensive, the definitive book on wines from these countries, doesn’t actually do it justice! It’s also a jolly good read! The photos are beautiful, inspiring the reader to visit; the facts are detailed, though presented in a very reader friendly manner; the history related is compelling (so much more so than History lessons, when I were a lad! ); and, perhaps above all, it’s the human element that certainly captivated this reader! One can almost feel the pain of the families whose lands are simply taken away from them as Communism cast a shadow over these countries, their fear and sense of hopelessness at losing the estates that had been in the families for generations. Their sense of desperation as they are forced to flee the country of their birth and then, years later when it was safe to return their feelings of ambivalence – elation at going home, but despondency when they see the neglected vineyards and encounter the bureaucracy in the way of their buying their land back! Two World Wars had devastating affects, of course – millions died and countries were left in ruins. Thoughts of making fine wine couldn’t have been further from the minds of survivors, intent more on continuing to survive. But as one Moldovan gentleman, now producing wines, related there were worse times to come. Stalin had a policy of sending any land owners to Siberia – where many families simply died out! His grandfather was neglected when the rest were herded out of their homes, because he was in the vineyard at the time – most of his family never returned. As a wine man, I was sad to read about how the dual mantras of mechanisation and mass production under the Communist regimes saw an increase in the volume of wine, but a dramatic decrease in quality. Corruption was rife and in order to survive one had to toe the communist line. We read about how Russia banned the purchase of Moldovan wines, traditionally their largest and best market. This in far more modern times, 2006 to be precise, and for such spurious a reason as to cite danger from the pesticides used, when in fact, as the author points out, most growers were too poor to buy chemicals! It’s believed it was political, related to Moldovias ties with Ukraine! Nevertheless, this is a very positive book. In each of the three countries, visionaries, often young winemakers, are intent on bringing back the fine wine traditions of the past, and improving them further. Investment from within as well as that from outside these countries has been bringing about a major sea change (Black Sea?) in the industry. A political will is also helping – though red tape still abounds! Caroline Gilby MW has been visiting Bulgaria, Romania and Moldova for almost thirty years now, and has, as she states, been privileged to have been there when the quality wine making resurgence was just starting. She honestly says that there were times when she tasted dreadful wines in the early days, but hardly at all now, and also amazing wines which continue to please. This is an inspirational book, dealing with all aspects of wine-making in these three countries and inciting us all to try the wines and visit the countries! In fact, I’m off to Romania later this month – to do just that! 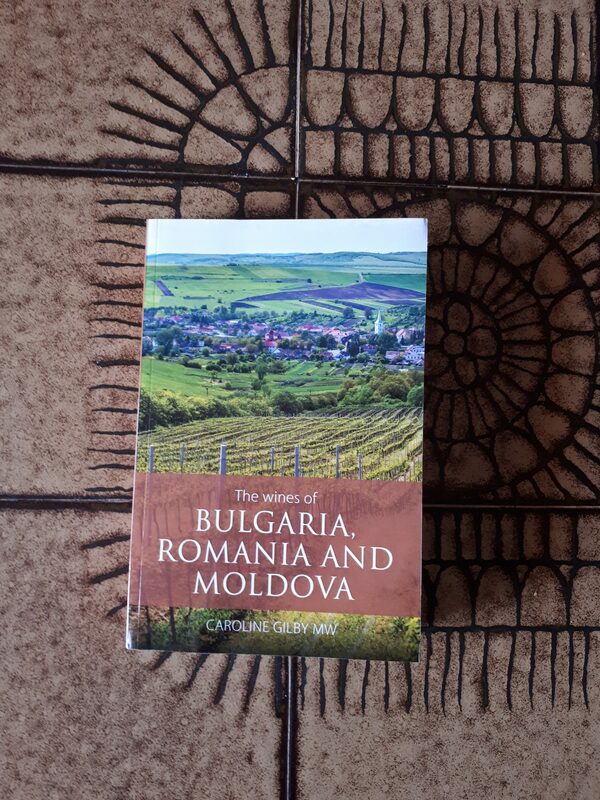 The Wines of Bulgaria, Romania and Moldova by Caroline Gilby MW is available from www.infideas.com/books/wines-bulgaria-romania-moldova – Christmas Present anyone? !